Bauer and Black Suspensory with Leg Straps help to support your testicles while playing sports. This support helps prevent injury and keep you healthy. The leg straps add security to the jockstrap and help keep the pouch in position. Also, the elastic waistband is adjustable to prevent the athletic supporter from riding up or falling off. 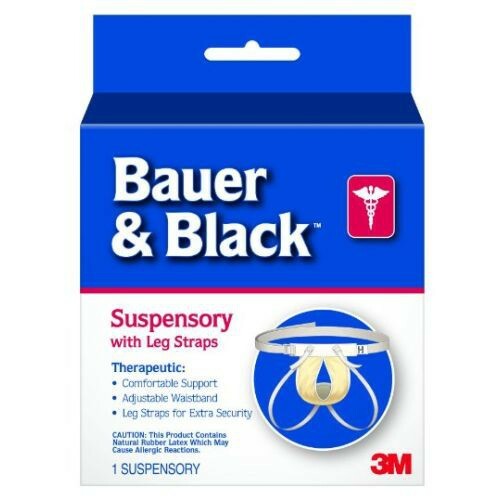 In addition, this suspensory can be used post surgery for support while healing. what and where is the coupon code? Our coupon codes are subject to change daily. You may any current coupon code on the checkout screen in the box listed "promotional code."